Smart cities. Wearables. Design Applications. Enablers. Robotics. These were the trending buzzwords that surrounded me as I stepped into Hall 1 of the Singapore Expo last Wednesday. It was the renowned IoT Asia 2017 event, back again this year, popular as ever. Spread over two days, the event is seen as a transformational platform and a key player in Asia’s IoT community. As I made my first round maneuvering my way around the hall, I saw numerous companies with exciting and informative booths set up, aiming to address the interests of the 4500 + attendees across the entire IoT value chain. One of the very first booths that caught my eye was the SMU-TCS iCity Lab booth. The team had an interesting hands-on booth with 3D displays that lit up upon sensory touches. While exploring the booth, I spoke with the team and it was interesting to learn more about their projects in the IoT space. To adapt to the rapidly changing eldercare landscape, they have introduced the concept of sensor-enabled homes, or ‘smart homes’. In these homes, the mobility or sleeping patterns of the elderly for example, can monitored in a non-disturbing manner, and through real-time sensor data, anomalies in their living patterns can be detected quickly. Community caregivers can then be called upon immediately, especially in emergency situations such as falls. Further down the event hall, there followed several more booths showcasing their own solutions in the IoT space aiming to tackle the interests of technology solution providers and enablers as well as end-user and potential IoT technology adopters across multiple industries. Similar to the term ‘smart homes’, there were other booths showcasing fascinating concepts of ‘smart factories’ and ‘smart space management’ respectively. The smart factory concept was really interesting to note in that ‘smart devices’ on apparel for example, will be able to provide access to dashboard analytics of the factory floor ecosystem for instance. So during factory operations, company management will be able to make real time decisions with the the analytics visualisations and data collected straightaway. Big Tech companies like Dell EMC and Avnet had their booths dedicated to 'Smart Buildings' and 'Smart Homes'. 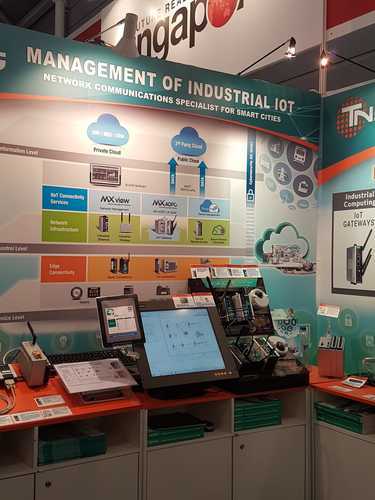 Their interesting IoT solutions ranged from Building Automation to Wearables and Automotives. 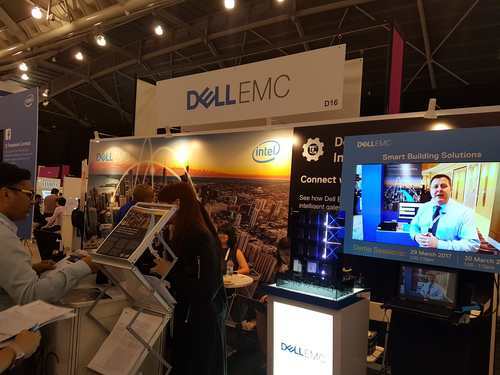 For instance, Dell EMC's Smart Buildings concept was reflected in their on-site videos, which showcased their IoT products and hardware in gateways and embedded PCs, infrastructure, communication platforms and security to make a good 'Smart Building'. After speaking to several individuals and companies at the event, I understood something clear at the end of it all : As much as IoT as a trending concept continues to grow rapidly right now, there is quite an IoT skills gap in the market. It made me think - Why have we, as being in the recruiting industry ourselves, have not yet seen too many job postings with ‘IoT’ in the job title? One of the sentiments echoed by many would be the fact that IoT is a multi-functional collaboration of teams, as the assumption is that everything is going to be ‘connected’ in the future. Due to this vital factor, there would a need for a ‘Design’ expertise as well as a ‘Security’ expertise just for IoT to function smoothly. This would mean the product manager for example, needs to see how IoT fits into the product and security team on how to protect that eventually. So ultimately all employees in the organisation do need to think about how IoT plays a role in the company and solutions offered. In conclusion, IoT is definitely a technology that is going to stay with us through the future, and everyone has a role to play, in terms of making it work successfully in an organisation. What are your thoughts about IoT for the future? Do you agree with me? Talk to me here!